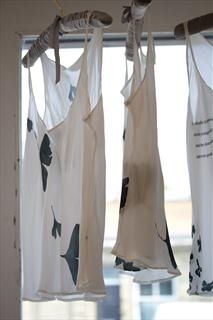 An exhibition of memory garments at Blakes Vintage Hove Sussex www.blakesvintage.com from 25th May-25th June 10am - 5pm. Using textiles to illustrate the passing of time works include botanicals, fragments of poetry and vintage lace to echo a feeling of fragility and transcience. A collection of silk garments and accessories to include an installation of silk camisoles which evokes a narrative through the interaction of garments and sculptures.